Transfer News – 11th July, 2015: Manchester United seal Bastian Schweinsteiger deal, Man City target Delph set to stay at Aston Villa, Stoke City complete Glen Johnson move. Manchester United seal Bastian Schweinsteiger deal, Man City target Fabian Delph set to stay at Aston Villa, Stoke City complete Glen Johnson move for free, Arsenal eye Man Untied defender Jonny Evans and much more in today’s news roundup. Manchester United are set to complete Bastian Schweinsteiger deal as it is confirmed that the German club have agreed to sell Schweinsteiger to the Old Trafford side. The World Cup winners who entered his last year of the contract at Allianz Arena will now be heading for a medical. Read Full Story! Aston Villa captain Fabian Delph has no plans to leave the Villa Park despite of being in link with Manchester City in the last few days, according to SkySports. Yesterday’s reports revealed that Man City were closing on his £8million deal, however the recent statement from the English midfielder has denied the reports. Read Full Story! Arsenal are planning to sign Manchester United center-back Jonny Evans for a fee around £10million, according to Daily Star. Robin van Persie has completed his move to Fenerbahce, as per Turkish reports. Manchester United striker who was in link with several sides has reportedly sealed his move to the Turkish club. Stoke City have signed Glen Johnson on a free transfer, according to SkySports. The former Chelsea full-back was released by Liverpool earlier this summer. See All Stoke Transfers! 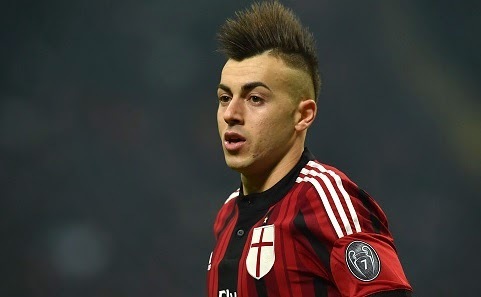 AC Milan attacker Stephan El Shaarawy is closing on his move to French side AS Monaco, as per the reports. The Italian forward will be having a medical this weekend ahead of his move to the French big spenders.